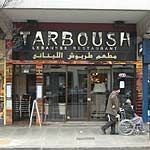 Tarboush is a Lebanese restaurant on Edgware Road. Do you work at Tarboush? What did you think of Tarboush?